At VL Dental, our goal is to ensure that every patient feels welcome, understands the treatment plan we choose, and never experiences stress or anxiety. Our skilled dental team truly cares about patient experience, and works diligently to ensure every patient is relaxed and free from pain throughout treatment. Unfortunately, nearly 15% of US adults experience dental phobia or anxiety. We recommend patients with dental fear schedule a consultation visit before seeking treatment. This allows our team to introduce them to the practice, and for them to familiarize themselves with our dentist and team. Once patients feel comfortable at VL Dental, we’re happy to schedule a gentle six month checkup and teeth cleaning. During this appointment, we determine the patients’ level of discomfort in the office, and if they need additional treatment, we work with them to develop a plan that keeps them calm and comfortable. 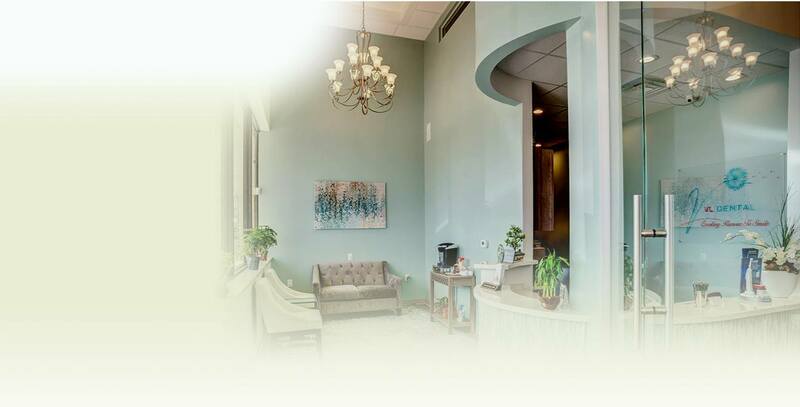 Another way we help patients relax is through the use of sedation dentistry. One of the most common and oldest forms of dental sedation, nitrous oxide is a great sedation option for patients with mild anxiety and those who have difficulty with pain management using local anesthetics. Nitrous oxide is a gas inhaled through a nasal mask. As patients breathe in, the gas begins to relax them. Nitrous oxide is often referred to as laughing gas due to the euphoric feeling patients experience under its influence. In addition to putting patients at ease quickly, dosage can be regulated throughout any procedure to maximize relief, and the effects of nitrous oxide sedation dissipate quickly following treatment. This means patients can return to their daily routine directly following any procedure. Patients also feel safer with the continuous monitoring of the dentist throughout sedation. Another mild sedation option is oral conscious sedation. This form of sedative is especially popular for those patients whose dental anxiety makes them dread visiting our office because oral conscious sedation takes effect before patients leave home. At a predetermined time before the appointment, patients take a commonly prescribed oral sedative pill. A trusted friend or family member should be enlisted to drive patients to and from their appointment, and monitor them as the sedative wears off. Once patients arrive at our office, they are already relaxed, and ready to begin treatment. As the name suggests, patients remain conscious throughout the procedure, but they often report having no memory of the visit. During treatment patients usually enter was is referred to as a “twilight” state. This is likened to being very tired, right before you fall asleep at night. Patients are able to ask and answer questions, but they do not feel the heightened level of stress associated with dental anxiety. This form of sedation is also effective for patients who need numerous or complex procedures, have a sensitive gag reflex, or may not be able physically or cognitively to handle the stress of treatment. If you’re one of the more than 40 million Americans who experience dental phobia or anxiety, you’re not alone, and the team at VL Dental is here to help. Contact us today to schedule a consultation.